Breaking my knee this year was a difficult experience, but I did learn a lot from it. I now know more than I ever wanted to know about the anatomy of my knee and how the muscles work together to create the miracle of bipedal locomotion, and more importantly, I now know more about pain. Pain is one of those things that’s very real to the person experiencing it, and a person’s perception of pain changes every time they experience a higher degree and duration of pain. Breaking my knee was an interesting mix of pain. It wasn’t the most intense pain I had ever felt, but it was certainly the most profound. Up until now, my life had been thankfully pain-free. The combination of physical pain, the sheer duration of the pain (especially post-surgery), and the corresponding intellectual anguish that comes from the realization that my life has changed for the worse in irreversible ways made this one of the most traumatizing experiences of my life. Despite how massive the experience was to me, I’m also aware that my experience is relatively minor compared to the pains that others suffer. This sobering realization gives me a heightened empathy for others experiencing great pain, or even modest amounts of pain on a regular basis. Breaking a knee is nothing compared to having cancer or a terminally degenerative disease like Alzheimer’s: at least in my case, there is hope of recovery, and that hope helped keep me going. However, a feeling of heightened empathy for those who suffer has been an important and positive outcome from my experience, and sharing my experiences in this essay is both therapeutic for me and hopefully insightful for others who have not had similarly painful life experiences. I broke my knee on an average Saturday morning. I was wearing my paddling gear, walking to a taxi stand with my partner, heading for a paddle around the islands south of Singapore. At the time, my right knee was recovering from a partial tear of the quadriceps tendon; I had gone through about six weeks of immobilization and was starting physical therapy to rebuild the knee. Unfortunately that morning, one of the hawker stalls that line the alley to the taxis had washed its floor, causing a very slick soup of animal grease and soapy water to flood into the alley. I slipped on the puddle, and in the process of trying to prevent my fall, my body fully tore the quadriceps tendon while avulsing the patella – in other words, my thigh had activated very quickly to catch my fall, but my knee wasn’t up for it, and instead of bearing the load, the knee broke, and the tissue that connected my quads muscle to my knee also tore. It’s well documented that trauma imprints itself vividly onto the brain, and I am no exception. I remember the peanut butter sandwich I had in my hand. The hat I was wearing. The shape and color of the puddle I slipped on. The loud “pop” of the knee breaking. The writhing on the floor for several minutes, crying out in pain. The gentlemen who offered to call an ambulance. The feeling of anguish – after six weeks in therapy for the partial tear, now months more of therapy to fix this, if fixable at all. I was looking forward to rebuilding my cardiovascular health, but that plan was definitely off. Then the mental computations about how much travel I’m going to have to cancel, the engagements and opportunities I will miss, the work I will fall behind upon. Not being able to run again. Not being able to make love quite the same way again. The flight of stairs leading to my front door…and finally, my partner, who was there for me, holding my hand, weeping by my side. She has been so incredibly supportive through the whole process, I owe my good health today to her. To this day, my pulse still rises when I walk through the same alley to the taxi. But I do it, because I know I have to face my fears to get over the trauma. My partner is almost always there with me when I walk through that particular alley, and her hand in mine gives me the strength I lack to face that fear. Thank you. Back to the aspect of pain. Breaking the knee is an acute form of pain. In other words, it happens quickly, and the intensity of the pain drops fairly quickly. The next few days are a blur – initially, the diagnosis is just a broken kneecap, but an MRI revealed I had also torn the tendon. This is highly unusual; usually a chain fails at one link, and this is like two links of a chain failing simultaneously. The double-break complicates the surgery – now I’m visiting surgeons, battling with the insurance company, waiting through a three-day holiday weekend, with the knowledge that I have only a week or two before the tendon pulls back and becomes inoperable. I had previously written about my surgical experience, but here I will recap and reframe some of my experiences on coping with pain. Pain is a very real thing to the person experiencing it. Those who haven’t felt a similar level of pain to the person suffering from pain can have trouble empathizing. In fact, there was no blood or visible damage to my body when I broke my knee – one could have also possibly concluded I was making it all up. After all, the experience is entirely within my own reality, and not those of the observers. However, I found out that during surgery I was injected with Fentanyl, a potent opioid pain killer, in addition to Propofol, an anesthetic. I asked a surgeon friend of mine why they needed to put opioids in me even though I was unconscious. Apparently, even if am unconscious, the body has autonomous physiological responses to pain, such as increased bleeding, which can complicate surgery, hence the application of Fentanyl. Fentanyl is fast-acting, and wears off quickly – an effect I experienced first-hand. Upon coming out of the operation room, I felt surprisingly good. One might almost say amazing. I shouldn’t have, but that’s how powerful Fentanyl is. I had a six-inch incision cut into me and my kneecap had two holes drilled through it and sutures woven into my quads, and I still felt amazing. And then two hours later, the nalaxone kicks in. Nalaxone is an anti-opioid drug, which is digested more slowly than the oxycodone. The hospital mixes it in to prevent addiction, and that’s very smart of them. I’ve charted portions of my mental physiology throughout my life, and that “feeling okay” sensation is pretty compelling – as reality starts to return, your first might be “Wait! I’m not ready for everything to not be okay! Bring it back!”. It’s not euphoric or fun, but the sensation is addictive – who wouldn’t want everything to be okay, especially when things are decidedly not okay? Nalaxone turns that okay feeling into something more akin to a bad hangover. The pain is no longer a distant ship smoke on the horizon, it’s more something sitting in the same room with you staring you down, but with a solid glass barrier between you and it. Pain no longer consumes your entire reality, but it’s still your bedfellow. So my last memory of the drug isn’t a very fond one, and as a result I don’t have as much of an urge to take more of it. After about a day and a half in the hospital, I was sent home with another, weaker opioid-based drug called Ultracet, which derives most of its potency from Tramadol. The mechanism is a bit more complicated and my genetic makeup made dosing a bit trickier, so I made a conscious effort to take the drug with discipline to avoid addiction. I definitely needed the pain killers – even the slightest motion of my right leg would result in excruciating pain; I would sometimes wake up at night howling because a dream caused me to twitch my quads muscle. The surgeon had woven sutures into my quads to hold my muscle to the kneecap as the tendon healed, and my quads were decidedly not okay with that. Fortunately, the principle effect of Ultracet, at least for me, is to make me dizzy, sleepy, and pee a lot, so basically I slept off the pain; initially, I was sleeping about 16 hours a day modulo pee breaks. In about 2-3 days, I was slightly more functional. I was able to at least move to my desk and work for a couple hours a day, and during those hours of consciousness I challenged myself to go as long as I could without taking another dose of Ultracet. This went on for about two weeks, gradually extending my waking hours and taking Ultracet only at night to aid sleep, until I could sleep at night without the assistance of the opioids, at which point I made the pills inconvenient to access, but still available should the pain flare up. One of the most unexpected things I learned in this process is how tiring managing chronic pain can be. Although I had no reason to be so tired – I was getting plenty of sleep, and doing minimal physical activity (maybe just 15-30 minutes of a seated cardio workout every day), I would be exhausted because ignoring chronic pain takes mental effort. It’s a bit like how anyone can lift a couple pounds easily, but if you had to hold up a two-pound weight for hours on end, your arm would get tired after a while. Finally, after bit over forty years, I now understand why some women on their period take naps. A period is something completely outside of my personal physical experience, yet every partner I’ve loved has had to struggle with it once a month. I’d sometimes ask them to try and explain to me the sensation, so I could develop more empathy toward their experience and thereby be more supportive. However, none of them told me was how exhausting it is to cope with chronic pain, even with the support of mild painkillers. I knew they would sometimes become tired and need a nap, but I had always assumed it was more a metabolic phenomenon related to the energetic expense of supporting the flow of menses. But even without a flow of blood from my knee, just coping with a modest amount of continuous pain for hours a day is simply exhausting. It’s something as a male I couldn’t appreciate until I had gone through this healing process, and I’m thankful now that I have a more intuitive understanding of what roughly half of humanity experiences once a month. Another thing I learned was that the healing process is fairly indiscriminate. Basically, in response to the trauma, a number of growth and healing factors were recruited to the right knee. This caused everything in the region to grow (including the toe nails and skin around my foot and ankle) and scar over, not just the spots that were broken. My tendon, instead of being a separate tissue that could move freely, had bonded to the tissue around it, meaning immediately after my bone had healed, I couldn’t flex my knee at all. It took months of physiotherapy, massaging, and stretching to break up the tissue to the point where I could move my knee again, and then months more to try and align the new tissue into a functional state. As it was explained to me, I had basically a ball of randomly oriented tissue in the scarring zone, but for the tendons to be strong and flexible, the tissue needs to be stretched and stressed so that its constituent cells can gain the correct orientation. Which lead to another interesting problem – I now have a knee that is materially different in construction to the knee I had before. Forty plus years of instinct and intuition has to be trained out of me, and on top of that, weeks of a strong mental association of excruciating pain with the activation of certain muscle groups. It makes sense that the body would have an instinct to avoid doing things that cause pain. However, in this case, that response lead to an imbalance in the development of my muscles during recovery. The quads is not just one muscle, it’s four muscles – hence the “quad” in “quadriceps” – and my inner quad felt disproportionately more pain than the outer quad. So during recovery, my outer quad developed very quickly, as my brain had automatically biased my walking gait to rely upon the outer quad. Unfortunately, this leads to a situation where the kneecap is no longer gliding smoothly over the middle groove of the knee; with every step, the kneecap is grinding into the cartilage underneath it, slowly wearing it away. Although it was painless, I could feel a grinding, sometimes snapping sensation in the knee, so I asked my physiotherapist about it. Fortunately, my physiotherapist was able to diagnose the problem and recommend a set of massages and exercises that would first tire out the outer quad and then strengthen the inner quad. After about a month of daily effort I was able to develop the inner quad and my kneecap came back into alignment, moving smoothly with every step. Fine-tuning the physical imbalances of my body is clockwork compared to the process of overcoming my mental issues. The memory of the trauma plus now incorrect reflexes makes it difficult for me to do some everyday tasks, such as going down stairs and jogging. I no longer have an intuitive sense of where my leg is positioned – lay me on my belly and ask me to move both legs to forty-five degrees, my left leg will go to exactly the right location, and my right leg will be off by a few degrees. Ask me to balance on my right leg, and I’m likely to teeter and fall. Ask me to hop on one foot, and I’m unable to control my landing despite having the strength to execute the hop. The most frustrating part about this is that continuous exercise doesn’t lead to lasting improvement. The typical pattern is on my first exercise, I’m unstable or weak, but as my brain analyzes the situation it can actively compensate so that by my second or third exercise in a series, I’m appearing functional and balanced. However, once I’m no longer actively focusing to correct for my imbalances, the weaknesses come right back. This mental relapse can happen in a matter of minutes. Thus, many of my colleagues have asked if I’m doing alright when they see me first going down a flight of stairs – the first few steps I’m hobbling as my reflexes take me through the wrong motions, but by the time I reach the bottom I’m looking normal as my brain has finally compensated for the new offsets in my knee. It’s unclear how long it will be until I’m able to re-train my brain and overcome the mental issues associated with a major injury. I still feel a mild sense of panic when I’m confronted with a wet floor, and it’s a daily struggle to stretch, strengthen, and balance my recovering leg. However, I’m very grateful for the love and support of my partner who has literally been there ever step of the way with me; from holding my hand while I laid on the floor in pain, to staying overnight in the hospital, to weekly physiotherapy sessions, to nightly exercises, she’s been by my side to help me, to encourage me, and to discipline me. Her effort has paid off – to date my body has exceeded the expectations of both the surgeon and the physiotherapist. However, the final boss level is in between my ears, in a space where she can’t be my protector and champion. Over the coming months and years it’ll be up to me to grow past my memories of pain, overcome my mental issues and hopefully regain a more natural range of behaviors. Although profound pain only comes through tragic experiences, it’s helped me understand myself and other humans in ways I previously could not have imagined. While I don’t wish such experiences on anyone, if you find yourself in an unfortunate situation, my main advice is to pay attention and learn as much as you can from it. Empathy is built on understanding, and by chronicling my experiences coping with pain, it helps with my healing while hopefully promoting greater empathy by enabling others to gain insight into what profound pain is like, without having to go through it themselves. I recently saw a Forbes article citing rumors that the iPhone X is being cancelled this summer. Assuming the article is correct, it claims that a “lack of interest in China” is the main reason for the relatively early cancellation of production. They’re hoping that 6.1″ and 6.5″ versions of their phone with a less pronounced Face ID notch would excite Chinese customers. The notion of a “less pronounced” Face ID notch is what got me — Apple embracing the notch as iconic, and worth carrying forward to future models, rather than simply making the top bezel a bit larger and eliminating the notch altogether. Historically, Apple has taken a “less is more” strategy, meticulously eliminating even the tiniest design facets: replacing radii with splines, polishing off injection mold parting lines, even eliminating the headphone jack. Putting a notch on the iPhone feels a bit like watching a woman painstakingly apply face whitening cream day after day to remove tiny blemishes, and then don a red clown nose. 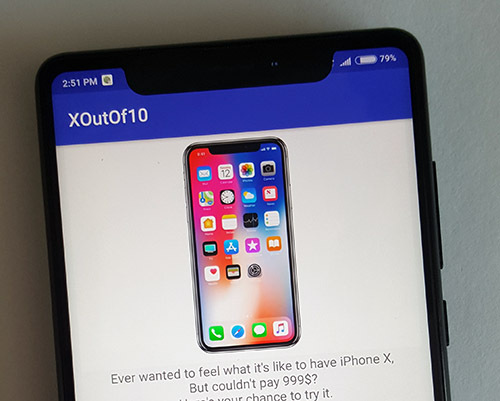 Like the red clown nose, the problem with pushing the notch is that anyone can put one on, should they decide it’s a feature they want to copy. Xobs recently showed me an app on his Xiaomi Mix 2 that does exactly that. 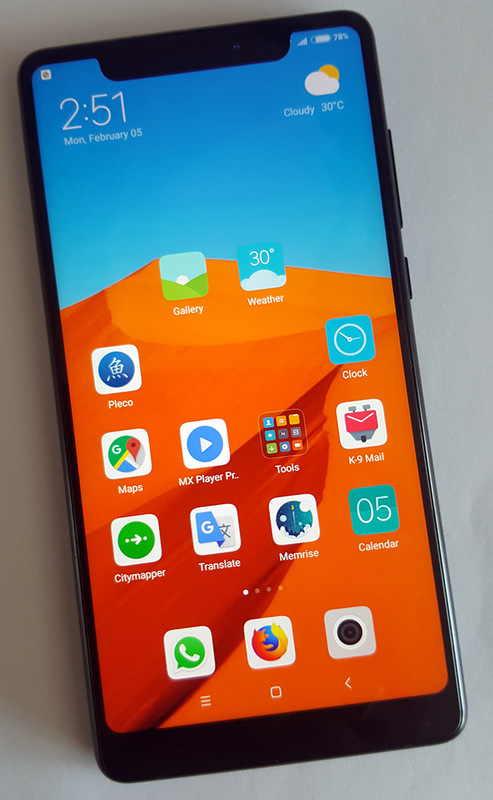 Below is what his Xiaomi Mix 2 looks like normally. It’s got a screen that goes right up to the top bezel, without a notch. This glass-half-empty situation is a parable for design leadership versus market perception: if a market previously lacked a smartphone with a minimal top bezel, the notch is perceived as “How innovative! I’ve got extra pixels to the left and right of my earpiece/camera assembly!”. But once a market has seen a smartphone with minimal top bezel, the notch turns into “Hey where did my pixels go? What’s this notch doing here?”. 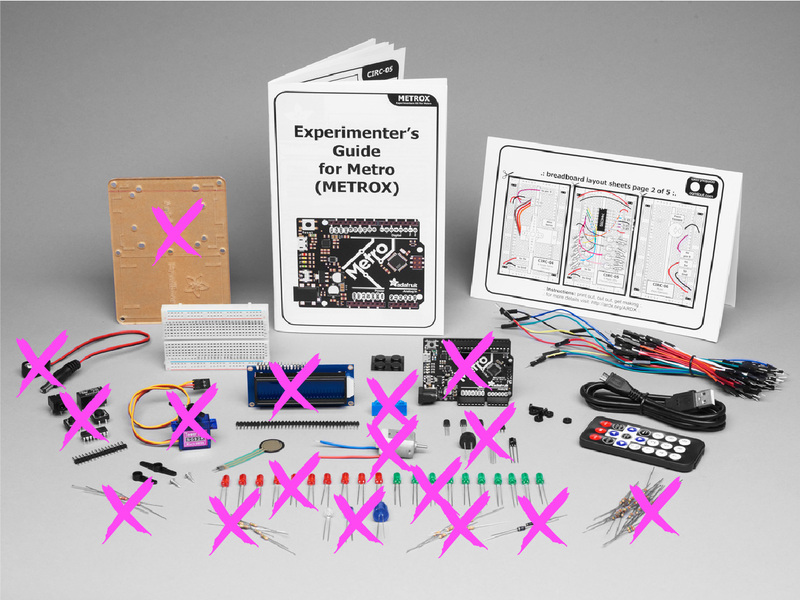 It’s a case where the additional design feature is seen as a loss of function, not a gain. Thus it will be interesting to see if Apple’s bet to introduce a phone with a larger screen that can compete head to head in China against the likes of the Xiaomi Mix 2’s 6″ screen will pay out, especially if Apple retains the notch. Of course, as the design space for phones becomes more and more crowded, Apple’s room to maneuver becomes increasingly limited. The minimalist design space is winner-takes-all: the first company to elegantly remove a design facet wins the minimalism race, and now that Xiaomi has planted a flag in the bezel-less top space, it may be that Apple has no option but to sport the top-notch, or run the risk of being seen as copying a Chinese company’s design language. Several comments have been made about the iPhone X still having a greater amount of screen real estate than the Xiaomi Mix 2. 1) Apple can’t hide a camera underneath the display, and so there always has to be a “dark area” that’s an affordance for the camera (and more significantly, the multitude of sensors that comprise FaceID). 2) Apple (or perhaps someone else!) figures out how to hide a camera under the display and creates a true bezel-to-bezel phone. 3) Apple convinces us all that the notch is truly iconic and it’s hailed as one of the greatest design innovations of this decade (hey, they did it for the headphone jack…). 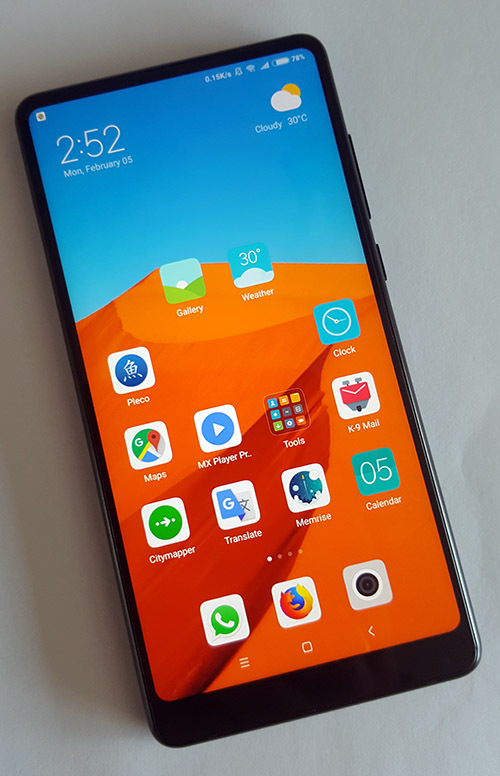 So in the race for minimalism, because Xiaomi has “claimed” the minimal bezel top-half design space, Apple has far fewer options for backing out of the notch, should it be perceived by the market as a loss of real estate, rather than a gain. But this is the world Apple has created for themselves, by patenting and litigating over the rounded rectangle as a phone design. In the case of 2 (Apple figures out how to hide all the sensors), Apple can really win the minimalist design space if they can do it without reducing functionality. 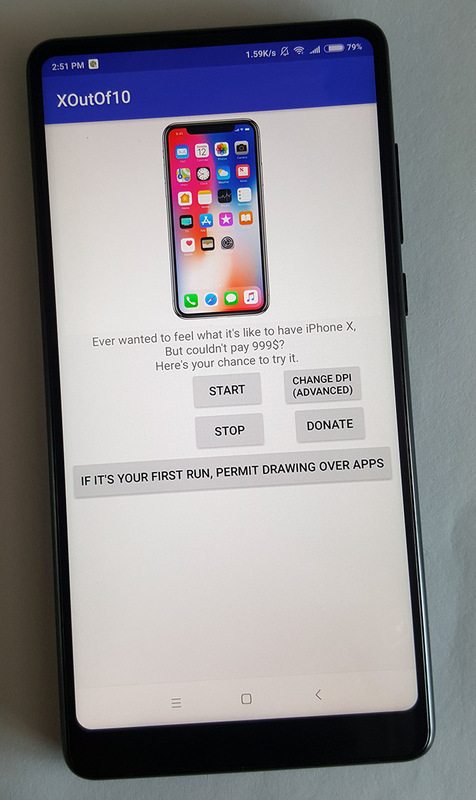 However, if they could have done this, I think they would have done it for the X. They certainly have the cash to throw the equivalent budget of SpaceX’s Falcon rocket program into eliminating that notch. Indeed, perhaps in a year or two Apple will come out with some crazy fiber optic wave guide assembly with holographic lenses to wrap light around the bezel into a sensor assembly stashed in the body of the phone. I wouldn’t put it beyond them. But until then, it seems Apple is looking at option (1) for the next generation at least, and the point of this article is that the competition has robbed Apple of at least two options elegantly to back out of the notch and create a phone with greater appeal to markets like China.